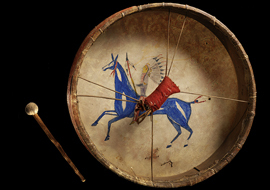 Warfare | A Song for the Horse Nation - October 29, 2011 through January 7, 2013 - The National Museum of the American Indian - Washington, D.C.
Horses allowed Native nations to better defend themselves, as settlers and soldiers encroached on tribal lands. 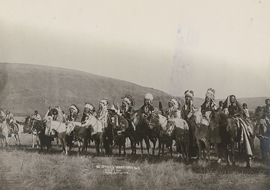 Attacks by the U.S. Cavalry and vigilante groups forced tribes to polish their attack strategies. 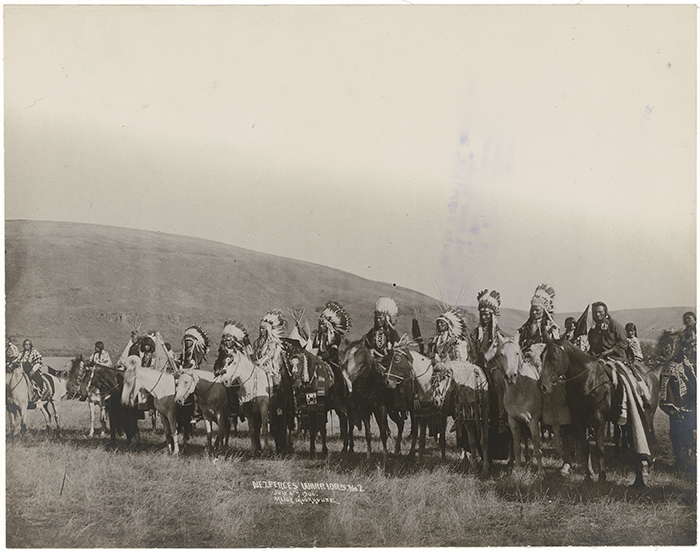 Horses made fighters swift in battle and became comrades in arms. 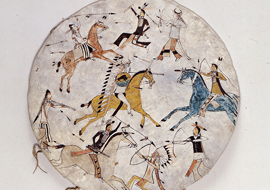 But the horse was also a factor in conflict between tribes, as various groups migrated or sought to expand their hunting territories. 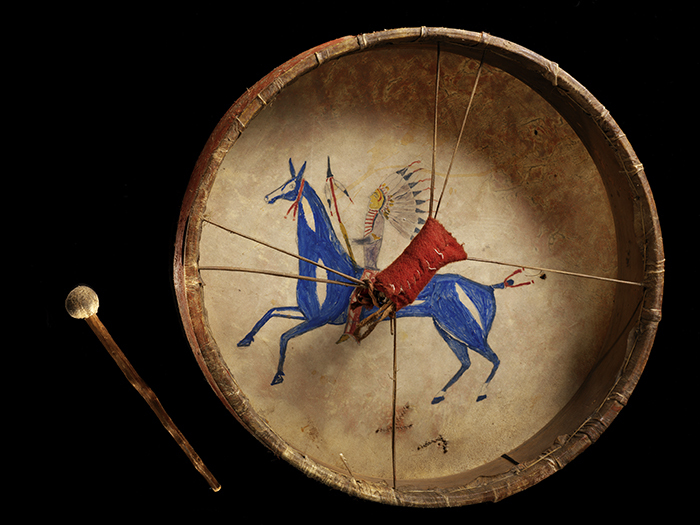 Old tribal alliances shifted. 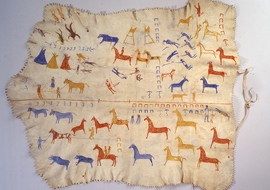 Tribes that were poor in horses raided their neighbors’ herds to increase their own. 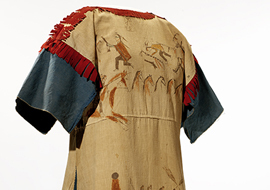 Painted with scenes of intertribal warfare, this dress celebrates the deeds of one man, who apparently suffered five wounds. 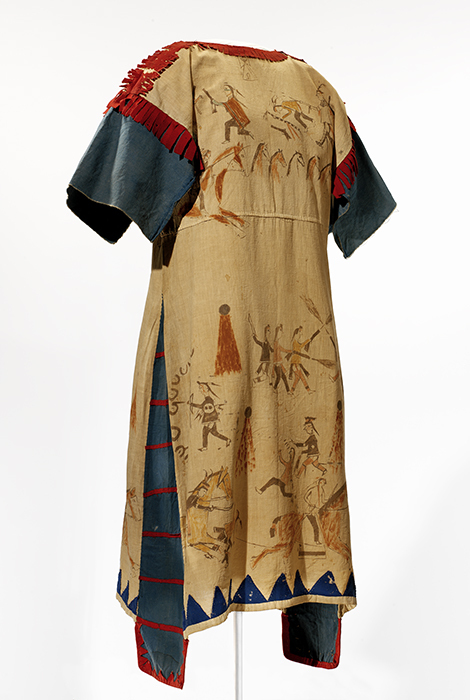 The honor of wearing such a dress would have been reserved for the warrior’s wife or sister. 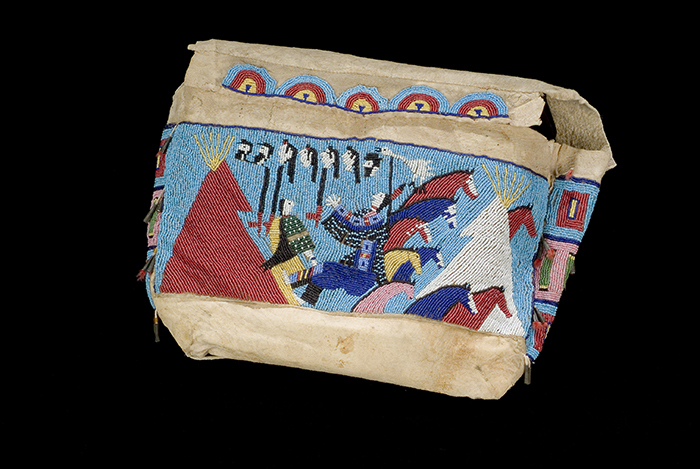 This tipi bag tells a story. 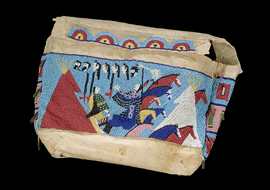 Our hero has stolen a number of horses, and possibly a wife as well. 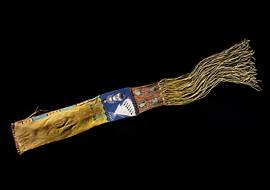 The three black-and-brown pipes indicate that he led a war party on three occasions, and the heads represent enemies he killed. 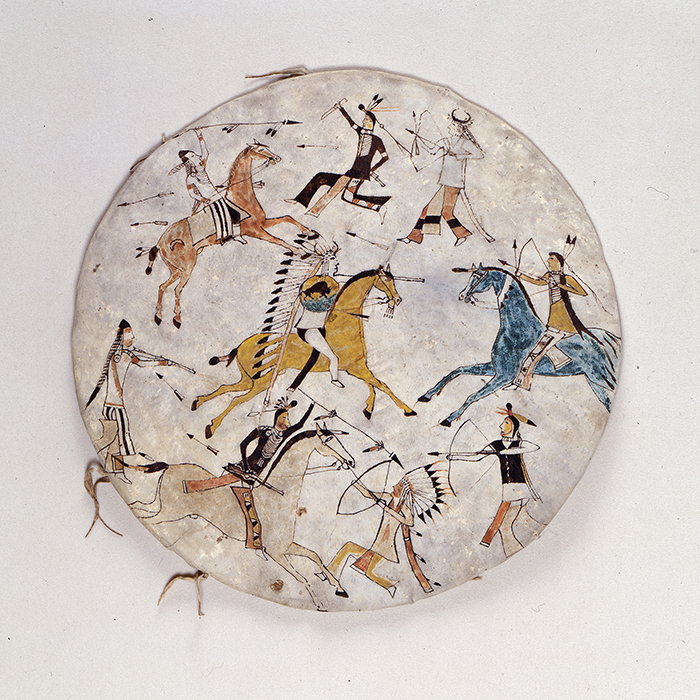 In this scene, the Blackfeet are holding their own against two sets of enemies: other tribes and bears (seen in the lower left corner). 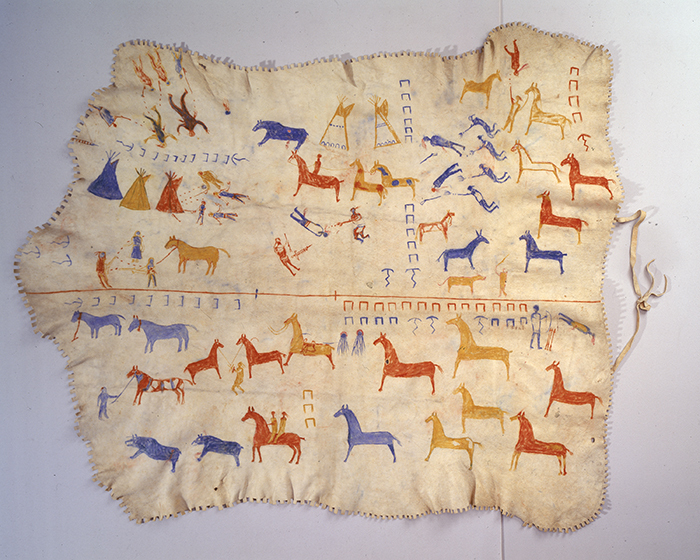 The small arcs represent hoof prints, and the arrow-like marks below them indicate the direction in which the horse was headed. 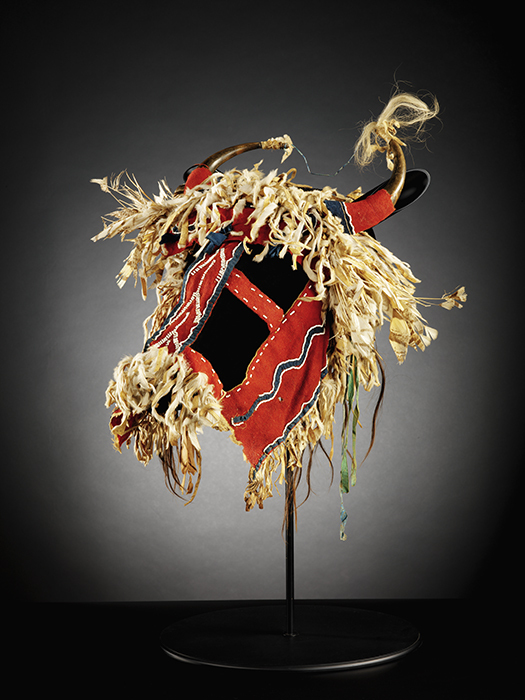 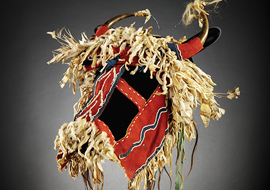 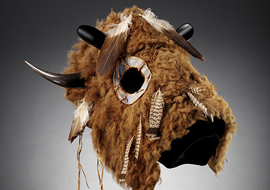 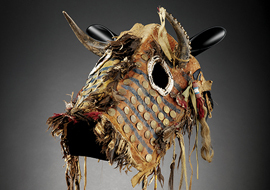 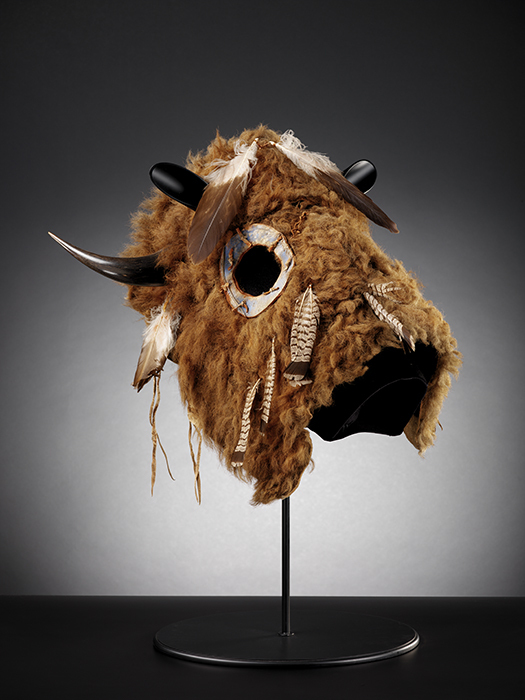 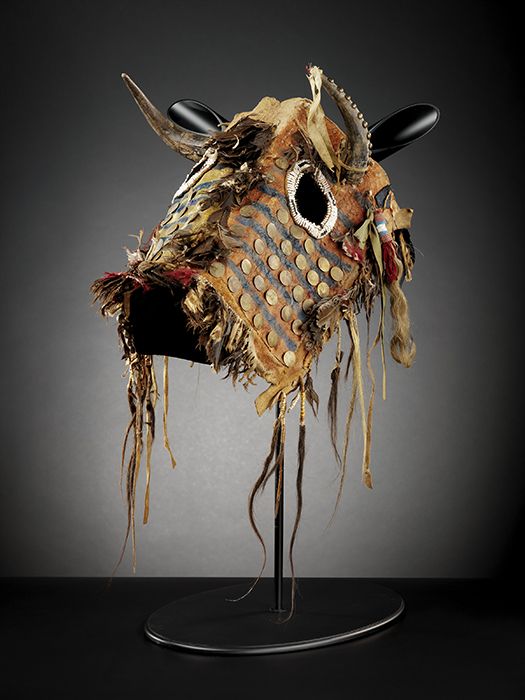 Imagine a horse wearing this mask and charging toward you, and you can appreciate how powerful and utterly transformative this head covering would be. 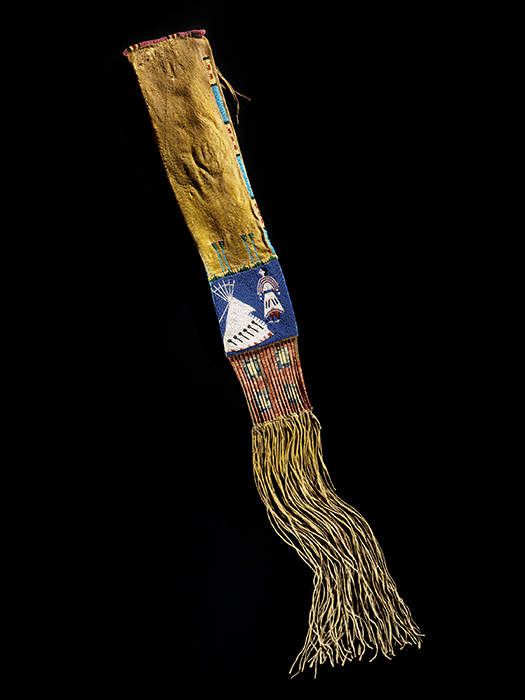 Possessing strong spiritual overtones, this piece is decorated with pony beads, clipped feathers, and Chinese brass buttons.